Diamond Double Wheel is a strategic dice game with not one, but two bonus wheels that you can spin! It also has mystery games, and a variable jackpot, allowing players of all levels to take home a nice payday. Three horizontal or diagonal diamond symbols open the bonus wheels round where you’ll find a points wheel and a money wheel. Happy with the prize the wheel you chose paid out (points, money, mystery games, or jackpot)? Great! Don’t like the result? Then simply refuse it and spin the other wheel! If you accept the mystery prize that’s only available on the first wheel you spin, you receive a number of mystery games in which any score of at least 100 points pays out 100 times your stake. Diamond Double Wheel’s jackpot, only available on the first wheel you spin, is tied to your stake level: the more you bet, the higher your jackpot. This is so that players of all types can have a shot at the jackpot of 1,000 times their stake. Besides manual and automatic play modes, Diamond Double Wheel also has instant mode. If you activate this, each spin will fill in all four slots simultaneously, like a dice slot! When earth was overrun by an alien plague, all hope was lost… Until the Spirit Sisters turned up to save humanity! In this strategic dice game, you join the fight guided by our heroines. Fight for freedom and find your fortune! Spirit Sisters is a strategic dice game: you get a say in your chances this way! Make a well-considered choice of into which box you put which stack of symbols. Would you dare risk it all and go for the potentially very high rewards of the bonus game? Or will you stick to the lower scoring symbols in order to gradually gather smaller winnings? The bonus wheel is where the big winnings are hidden! To unlock this bonus wheel round, all you need to do is line up 3 bonus symbols horizontally or diagonally. At the wheel, you can either win a cash prize, a jackpot, a points bonus of 100 or more, or up to 10 mystery games! There’s plenty of bonus points to be made in Spirit Sisters! 9 identical symbols in one box gives 200 extra points, and winlines in 3 or 4 boxes give you 1.5 or 2 times your points total. Welcome to Mega Wheels, where the winnings are as big as the bonus wheels! This strategic dice game has an impressive list of features: a bonus wheel, 2 jackpots, a cashback wheel, mystery games, and extra points! Try to get to the bonus wheel for the most fantastic prizes! Here you’ll find your chance to spin for one of the two jackpots, mystery games, cash, or points for a guaranteed win back in the main game. Don’t like the prize you’ve spun? No problem: Mega Wheels lets you try again, up to 5 times in total! Mega Wheels has not one but two jackpots! At the bonus wheel, you can win either the progressive jackpot that grows as you play, or the fixed extrapot. Both jackpots are stake-tied: this way you can always win at least 250 times your stake if you get a jackpot! Losing streaks are a thing of the past thanks to the cashback wheel! If you don’t win 30 spins in total (regardless of how many spins were winning), the cashback wheel will spin and award you a number of points that guarantees a win. You could even win some mystery games this way, where every points total of at least 100 pays out as if it were 1,000 points! Welcome to Spin Your Fortune! This game show-inspired strategic dice game will have you on the edge of your seat. Can you manage to win a round to the wheel of fortune? Let’s play to find out, the audience is cheering for you! Contestants, are you ready? Spin Your Fortune takes the form of an old-fashioned game show, and here too there’s a lot of money to win if you play it right. Correct: in Spin Your Fortune, you can follow your own strategy! Risk-takers try to go for the more rewarding combinations of symbols. New to the world of strategic games and still testing this fine example out? Then you can make winning combinations with lower-scoring that occur more often. It’s all up to you in Spin Your Fortune! If you manage to make a winning horizontal or diagonal line of 3 bonus symbols, you will be rewarded with a trip to the bonus feature. Here, you’ll spin the bonus wheel, which has prizes on it such as hundreds of points, quick cash or mystery games, up to 5 times. Mystery games are potentially the most valuable opportunity here: they’ll make any regular game that follows pay out the maximum for any score of 100 or more! Royal Wheel Xtra is a strategic dice game that offers extra chances of winning with stakes ranging from just €0.25 all the way up to €25 as well as an extra slick gaming experience with updated graphics and sounds! If you make a line of 3 bonus symbols (the red cross), the bonus wheel will appear. This wheel awards you a guaranteed prize through a points value of at least 100 or a number of mystery games. If the bonus wheel lands on “bonus” you will trigger an extra secret bonus wheel which will award you 2 to 6 mystery games. During these mystery games any score of 100 or above will pay out the maximum prize of 100 times your bet! If you score at least 20 points in 3 out of 4 boxes, your total score will be increased by 50%. If you score at least 20 points in all boxes, your total score will be doubled. When you have 9 identical symbols in one box, you will earn 200 extra points on top of the payout of the 5 winning lines you have created. Depending on the amount of other boxes you scored points in, this score can also be increased by 50% or doubled. It’s high Summer and the sun’s out: let’s head to the beach! Strategic dice game Parasol Beach is all about that Summer fun. There’s jackpots and mystery games to win! Full of beach fun, Parasol Beach is the perfect game for the Summer. Besides the many ways to win big, the game’s most attractive feature is its soundtrack – or soundtracks, as there’s 3 of them, because the radio lets you choose the station yourself! Bossa nova, chillout or electro: how do you enjoy the beach? Parasol Beach allows you to create your own strategy, as you can choose where you put which column of dice. This way, you can take it easy while making lines with the lower scoring dice that tend to occur more, or take a more daring approach with the hunt for the most valuable combinations. Up to you! Every time you make a winning line of 3 bonus symbols, you’ll enter the bonus game. Here, you’ll see 24 parasols, and it’s up to you to pick from them. Keep picking until you get 3 identical prizes, which pays out the respective amount of points. There’s even an extra bonus round hidden here, where you can win a jackpot or mystery games! Soccer Wheel mixes the excitement of a soccer stadium in full game atmosphere with a strategic dice game. Football fans will love it! There’s a generous bonus feature with points, mystery games, and even a jackpot for every stake! The bonus wheel round opens whenever you get three Golden Palace clover leaf symbols on a horizontal or diagonal winning line. During this bonus round, you’re offered to spin the wheel for either a random number of points from 100 to 1000 (this guarantees a cash win), mystery games, or the jackpot! If your bonus wheel spin happens to land on “mystery”, you win a random number of mystery games. During these mystery games, to be played automatically after the bonus wheel round is finished, any score of 100 or more will pay out the maximum for your stake level! Get ready for a never-ending dice adventure with Infinity Dice, a strategic dice game along the lines of evergreens 24k and Diamond Double Wheel. Go to the bonus round to discover the twists that make it unique! 12 stacks of dice and 4 slots is all that separates you from winning the big wins: just arrange them so that you have winning lines that make a points total of at least 100 points. Nothing complicated! Get your strategy on as you decide to go for the higher or lower rewards. Or why not try for the Winfinity bonus? Whenever you manage to get 3 infinity symbols on one winning line in a slot, the Winfinity bonus round will start for you. This is where the big prizes are! There’s points, cash, or even 15 mystery games to win. During these, any prize-winning points total pays out for a total of 1,000 points to win! There are 3 ways to get extra points in Infinity Dice. You can get 1.5 times your points total for any occurrence of winning lines in 3 slots, and even 2 times your points total for any occurrence of winning lines in all 4 slots. Then there’s 200 points extra for filling a slot with all identical symbols. Brilliant strategic dice game Wheel Of Antwerp brings us to the diamond capital of the world: Antwerp, Belgium! Take a tour of the many sights that the city has to offer, and you’ll find riches at every corner! Wheel Of Antwerp features 4 cases of strategic dice game fun. Plenty of challenging strategies to choose from here! Decide as you go: low scoring symbols, high scoring symbols, or just the bonus symbols? All players will feel welcome with stakes ranging from €0.25 to €15! The bonus wheel is where Wheel Of Antwerp really stands out! Get 3 Golden Palace clovers on a winning line to open this feature. Any prize on the wheel can be yours in a simple spin! Among these guaranteed cash prizes are the highly coveted mystery games. Played at your chosen stake, any win in these games will pay out the highest prizes for your stake! There are many ways to boost your winnings in this game! Get 200 points extra when you can arrange a case with 5 winning lines, and go for the multipliers for additional points: 1.5 and 2 times your points total if you get winning lines in 3 and 4 cases respectively! Kindly Mr. Fox invites us all to join him in his mansion for a grand tour. You’ll be baffled by his riches, and even more by his sharing spirit! Besides wilds and scatters, there’s not one but two bonus features that will happen at random! Wilds will replace the symbols you’re missing from your winning lines. Naturallly, they’ll occur on all reels, but you can increase their occurrence on some or all reels through the Superbet option. Scatters will pay out even when not on a winning line, and will also unlock the free games feature! 3 or more scatters always award you at least 10 free games at the stake you won them in. You can always win more free games if you get another set of at least 3 scatters: 10 extra free games will be added to your free games counter. During free games, all prizes are doubled! Foxin’ Wins has not 1 but 2 random bonuses. In Fox Funds, Mr. Fox will appear after a spin with a generous gesture: he’ll share his Fox Funds riches with you! In Leprechaun Shakedown, a leprechaun is on the loose in Mr. Fox’s mansion. Catch him and Mr Fox will shake him for all he’s worth: all the gold coins are yours! Spanish Eyes is a dice slot game that has bonuses that are triggered by both wilds and scatters separately. Gaze into the smouldering eyes of the Spanish señorita… And find the riches within! Wilds open a Pick and Win feature! In Spanish Eyes, the wilds are represented by the senõrita symbols. They can not only help you in making longer winning lines, but they’ll also give a chance for a very rewarding bonus feature called Pick and Win. To unlock this feature, you have to get the wild señoritas on a both the first reel and the fifth reel at the same time. When you get to the Pick and Win feature, you can choose a symbol, which could then reveal another chance to pick, or prize of up to 100 times your stake! Scatters give you free games!  Rose symbols are scatters: they will give you a prize you have at least 2 of them from left to right, starting on the leftmost reel. They do not even have to appear on a line you selected to win and pay out based on your total bet size, not on how much you wagered on a certain line. If you get more than 2 of these scattered symbols, you will automatically receive 12 free games, to be played at the stake you won them in. During free spins, all prizes will be tripled. You can even get another set of free games if you get 3 more scatters during free play! Fight like a Spartan for your winnings in 300 Shields! There are plenty of wilds and scatters, but the truly unique feature is its battle system, loaded with multipliers and extra free games! Wilds, occurring in 300 Shields as warrior symbols, can always result in huge wins, as they will substitute for any other symbol to start, connect or extend winning combinations on existing winning lines. Scatters, represented with the shield symbol, will even pay out no matter where they appear on the reels, winning line or not! 300 Shields has a battle system that really makes it stand out. You already win as soon as there are two scatters, but the big wins start happening when there are three of them! If this happens, you’ll get five free games, during which the warrior symbols go from wilds to multipliers. The shield symbols also go from scatters to shield counters, which trigger more free games and even higher multipliers up to 300! Do you believe in voodoo magic? Because there’s more than sweets in Voodoo Candy Shop! Spin the reels of this dice slot game and see if you can get the blessing of the voodoo priestess. Voodoo Candy Shop is a visual beauty: it just breathes the atmosphere of its exciting voodoo theme. Indeed, the shop offers more than candy. Be sure to turn on the high quality visuals (upper right corner of the screen) for the subtle animation, and watch the scenery come to life when you win! As in most dice slot games, there are scatters, here on reels 1, 3 and 5. The real big wins, however, are in the stacked wilds: if you get a reel full of wilds, you win 12 free games at the stake at which you’re playing. Win some cold hard cash in Flash Freeze, a dice slot game with some truly refreshing features! In this game, wild symbols will help you freeze whole reels for a few spins, which of course increases your chances at getting a big win! Flash Freeze is a dice slot game: spinning reels show a certain combination of dice, and if this combination has identical dice along the preset winning lines, you win the according prize. There are 5 reels of 3 dice, and 5 preset winning lines. You pay per spin, and you can win different amounts for different combinations. The longer the combinations of identical symbols are, the bigger your payout. All winning combinations along winning lines always have to start at the leftmost reel, and only go from left to right. Some symbols pay out for 2 of them, others start giving a prize from 3 symbols. For an overview, simply enter the game’s info file through the button in the bottom left corner. By default, your spins will be at a stake of €1. If you’re okay with this, you can start playing by clicking the start button in the bottom right corner to spin the reels once. You can also make them spin automatically by clicking autoplay to the left of the start button. This way, you don’t have to click start over and over. To stop autoplay, just click the same button again as it says “stop autoplay”. If you want to change your stake at any time, simply use the buttons to the left of autoplay. Clicking “-“ will decrease the stake, clicking “+” will increase it. Be aware of the fact that the stake options loop around: once you come to €0.25 (the lowest stake) and you click “-“ again, you’ll end up at the highest stake of €50 per spin. Likewise, if you’re at €50 and click “+”, you’ll be at €0.25. Frost symbols are wilds: these can replace any other symbol missing from a combination along a winning line. As these wilds occur on all 5 reels, they can start, connect or extend winning combinations. If you get 2 or more wilds on adjacent reels, these reels will become frozen, and you will get a number of paid respins that equals the amount of frozen reels. During these respins, you can’t change your stake. Wilds do not have a value by themselves. If you manage to get wilds on all 5 reels at the same time, the reels won’t freeze, but instead you’ll get 6 mystery games in which all wins pay out the maximum prize for your stake. You can get frozen reels again during these mystery games, and in doing so you’ll get even more mystery games. Miss Midas has a golden touch! In this magical dice slot game, you get to choose which symbols can turn into wilds through the Superbet feature. The titular character will then turn these into wilds whenever they appear next to her! Wilds happen randomly in the form of the Miss Midas character. She may only occur on the third reel, but when she does, she can turn symbols next to her into wilds with her Golden Touch. You can even select the symbols that are under the influence of her touch through the Superbet option! The Superbet option gives you the choice over which symbols to turn to gold with Miss Midas’s Golden Touch! By default, she’ll already turn 2 symbols into wilds if they occur directly next to her. With Superbet, you can raise your stakes and further increase this to 3 or even 4 symbols! The real winnings are to be found in the free games, which can be unlocked by getting at least three scattered castle symbols. The more scatters you have, the more free games you’ll get! During the free games, all your winnings are automatically doubled. Wilds that were turned to gold by Miss Midas can now even affect other Superbet enabled symbols and turn them into wilds too! A While On The Nile invites you to play for the treasures of the pharaohs of ancient Egypt. With wilds that can multiply your winnings and two great bonus games, this fun dice slot game will really make it worth your while! Pharaoh symbols are wild, and in A While On The Nile, you can even turn them into multipliers on top of their role as wilds! Just toggle the Superbet button to add a multiplier value of up to 10 to your wilds! Jewel scatters pay out when there’s 2 or more, and if there’s 3, you’ll even get free games! When this happens, pharaohs will help you out by granting more wilds. Free games can be retriggered too! Scarab scatters will open the scarab bonus round when there’s at least 3 anywhere on the reels. You’ll be given a chance to pick prizes from 20 scarabs. The bonus round only stops when you pick a “game over” scarab, so you can potentially claim a lot of prizes in a single bonus round! A While On The Nile has the popular gamble feature, where you’ll wager your winnings on a guess for the colour or the suit of a playing card. Right guess means double or quadruple winnings, and you can make 5 right guesses in a row for 1024 times your stake! Watch out: one wrong guess and you lose your winnings. Drill, baby, drill! Take a chance to become as rich as an oil tycoon in Oil Mania. This dice slot game has a simple but defining feature called Upwild, where entire reels can fill up with wilds! Can you feel the oil mania? Dice slot fun for all players! Thanks to its simple game design and no-nonsense play, Oil Mania is quick to master. The bonus feature is not at all complicated to understand, enabling both beginners and seasoned veterans to claim their part of the black gold. The most adventurous players will most definitely appreciate that it has total stakes that can go all the way up to €250. This could lead to possible payouts of €25,000! More casual players can play all winning lines for as little as €0.25. Oil Mania has a feature that is unique to dice slot games: Upwild! In this Upwild bonus feature, which is triggered by the oil tycoon bonus symbol, the oil well bursts. The reel on which the bonus symbol occurs will then fill with wilds during 3 free re-spins! This feature can even be retriggered during the re-spins, which means you could potentially end up with 3 full reels of all wilds! Chocolate Deluxe is the sweetest online casino game – literally! This chocolate-covered strategic dice game will have you crave for candy. Its delicious bonus game is full of bonus points! Chocolate Deluxe is tailored to suit all kinds of players. Beginners can play manually at a lower stake, while more seasoned players can play automatically at a higher stake. Real veterans can even spend €25 per spin on instant mode, which turns Chocolate Deluxe into an action-packed dice slot! Take your pick of the chocolates in Chocolate Deluxe’s bonus round! You will find yourself in front of a box of chocolates. You can click any piece to see the points it brings. Besides points, you can also get a mystery game, a level-up (which starts a new box with higher points), or a collect (which ends the bonus game but still awards you your gathered points). During mystery games, all scores of at least 100 pay out the maximum for your stake size. That’s up to a 100 times your stake! Mystery games can be won in the bonus rounds, but you’ll also get them at random when you play at the higher stakes (€10 or higher – up to €25). Come join the Teddy Bear family on their picnic: there’s Papa Bear, Mama Bear, Baby Bear... And there’s honey, of course, which is wild here! There’s also scatters and 8 free games where wilds are held for the biggest wins! Watch out for symbols with a honeycomb: these are wild and will help you give your winnings a huge boost! In Teddy Bear’s Picnic, wilds can happen on any reel, and they can help by starting, connecting or extending a combination along a winning line that would otherwise not have paid out. Picnic baskets are scatters, meaning that they pay out regardless of where they occur on the reels. That’s right, they don’t even need to appear on a winning line! 3 or more of them trigger 8 free spins during which any wilds will be held for the duration of the free spins! Every once in a while, Papa Bear will pop up to give you an additional wild. During regular games, he’ll make one symbol on reel 2, 3 or 4 wild. During free games, he’ll display his generosity on any of the 5 reels! As wilds are sticky and therefore are held, any wild during a free game can have very interesting results! Watch the mythologies of ancient Egypt come alive in Ancient Secrets, an exciting dice slot in a historic setting. This game has many ways to win big, including free spins! Ancient Secrets has wilds, which can help you make longer combinations along winning lines, as they can substitute for all other symbols (except the scatters). They will help you out on all 5 reels. Scatters may only appear on reels 1, 3 and 5, but you will already get a nice win if there are 3 of them anywhere on the reels. And if you manage to get a reel stacked with 3 wild symbols, you will receive 12 free games! STVV Dice is a strategic dice game that is dedicated to STVV, the Jupiler Pro League team sponsored by goldenpalace.be! Fans of STVV and strategic dice games alike now have a chance to score huge cash wins with this straightforward strategic dice game! STVV Dice offers strategic dice game action in the fighting spirit of STVV. Fans of the football team will surely approve of the team colours in this game! As in football, you can set a strategy: will you go for small prizes that may come quicker, or hang on for the big prizes? Just 12 clicks to decide! The red Chinese symbols are key to the bonus game. Get 3 on a winning line and you’ll be presented with 4 balls: one in each of the 4 cases. Just click the ball of your choice to reveal its prize. You can win up to 1000 points for a win of 100 times your stake here, and there’s even mystery games to win! In mystery games, you win the maximum payout of 100 times your stake for any points value of 100 or higher. To help you attain that threshold there are 3 distinct extra points features: 1.5 times or even 2 times your points total for winning combinations in 3 or 4 cases respectively, and 200 points extra for 9 identical symbols in the same case! Be fruitful and multiply your winnings! Energy Fruits is a dice slot game that lets you spin the fruit symbols that are known all across the world. The use of fruits to represent values make this dice slot an instantly recognizable one. Just spin and hope for those identical fruits to land across one of the paylines! Cherries are special here: they’ll already pay out if there’s just 2 of them on the first and second reel. As long as they occur along a winning line, you’ll get a nice prize! Scatters are special symbols, not only because they’re the only symbol that isn’t a fruit but a star. These scatters will pay out a prize even if they don’t occur along a winning line, or even consecutively from the first reel. Any occurrence of 3 or more will win on top of any other possible combination. If you’re really lucky, you’ll get scatters on all 5 reels! Stunning 27 is a dice slot game that promises fast action and uncomplicated gameplay. Go for the special “7” symbols, or try to land a whole game field full of fruits for a nice multiplication bonus! Stunning 27 has just 3 reels of 3 dice, which make it ideal for fortune seekers who just want to spin and win. This dice slot game has no winning lines: instead, all 27 possible combinations will be winning. With 4 fruit symbols or 5 special symbols to combine on just 3 lines, a nice win could always be a few clicks away! Fruit symbols are stacked on all reels. That means that they will always completely full the reels. The only exception is when special, even more valuable symbols appear on a reel. That means that one type of fruit can quite realistically fill all 3 reels simultaneously. If you’re lucky enough for this to happen to you, all winning combinations are multiplied by 3 for an even bigger payday! The gamble round that becomes available after every win lets you take a guess for the colour of the next playing card to appear. Red or black: do you feel lucky enough to wager your winnings on this? You could maybe multiply your winning by 16 this way! Fans of all things creepy and spooky can rejoice: strategic dice game Creepy Cash invites you to enter a castle that is filled with ghosts and ghouls… Do you dare to explore its rooms? Those who do will find many treasures, such as multipliers and mystery games! Creepy Cash is a dice game where you can use a strategy to reflect your style of play. You can decide the size of the winnings you will go for. Careful players can go for the lower-scoring symbol combinations, while the more daring players will try and put everything on those symbols with high rewards. Three bonus symbols on a winning line lets you choose a door to go through in the bonus game. Prizes here are points (at least 100 for a guaranteed payout!) or mystery games. In mystery games, any points total of 100 or more pays out 100 times your stake! Creepy Cash has some interesting multipliers for you! If you get winning combinations in 3 boxes, you get 1.5 times your points total, and 4 boxes even gives you 2 times your points total! Then there’s 200 points extra for filling a box with 9 identical symbols. Plenty of ways to win that Creepy Cash! Explore the Aztek ruins and discover the lost treasures within! Aztek Gold Dice has all the best elements of a true classic amongst strategic dice games, and adds a great feature of its own: two bonus wheels! Aztek Gold Dice has all the fun and action that makes the strategic dice game genre so popular. Arrange the dice columns in the 4 available slots while trying to get as many horizontal or diagonal winning lines of identical symbols as possible. It’s up to you develop your strategy as you hunt the symbols of your choice! The real treasure is found deep within the ruins: the bonus wheel is where you can make the biggest wins. If you land 3 bonus symbols on a winning line, you’ll find yourself in front of 2 bonus wheels. Spin both of them for a number of points up to 1,000 for a guaranteed win, or a number of mystery games, during which all points of 100 or more award the highest win for your stake! Aztek Gold Dice gives 1.5 or 2 times your points for winning lines in 3 or 4 slots, and 200 points extra for 9 identical symbols in 1 slot. Travel to India for The Snake Charmer! In this hypnotising dice slot, you can win big with 10 free games where random reels are fully wild! The Snake Charmer stays true to the dice slot tradition: action, action, and action! Don’t overthink, just spin and see what happens. The stakes can be set anywhere from €0.01 all the way up to €250. This high stake can make potential winnings up to €50,000 possible! Snakes are wilds in The Snake Charmer: these symbols have the power to represent any other symbol (except other bonus symbols). As such, they’re very useful for the creation of longer winning lines. Use them to start, connect or extend your winning lines to reach the biggest wins imaginable! The snake charmer symbols are scatters: these symbols can already give you a cash prize if there’s 2 of them, anywhere on the reels. No matter if this is along a winning line or not! On top of that, they can also give 10 free games with expanding wilds if you have 3 or more of them! Meet the Magic Queens! These fairytale ladies will help you get the most of your spins in this magic dice slot game, as they appear as expanding wilds. You can use the gamble function to further increase your winnings, if you dare! Magic Queens brings some fairytale magic to the dice slot game genre. With 5 reels of 3 dice each and 20 paylines, it’s very recognisable to dice slot game fans. It really sticks out through the colourful use of magic in its graphics. Be amazed by the animations of the three Magic Queens! The wide range of possible stakes make this dice slot game fit for any type of player. Are you a pro who likes the thrill of big stakes? Then you’ll like to try the €50 stake, where you could potentially win €37,500. If you’re more of a casual safe player, then try one of the stakes of €1 or lower. Extra extra, read all about it! Extra Cash is a fun to play dice slot game, where we are greeted by a happy-go-lucky paperboy. He’ll throw you wilds at random, and scatter symbols offer you a double chance at free games, so you know there’s lots to win here! Wilds can substitute for any other symbol (except scatters) and appear naturally anywhere on the reels. The real extra in Extra Cash, however, is given by the generous paperboy: he will at random give you extra wilds. This can get you longer combinations along a winning line for an even more impressive win! Scatters pay out no matter where they appear, winning line or not, but there’s an extra here too! Each time you get at least two scatters, the reels on which they occur will be held, and the remaining reels will spin once again – for free! Scatters also pay out when at least two of them appear along a winning line. The more scatters you get, the more free games you receive! Any wilds that appear during these free games, will be held for the remainder of the free spins. Imagine the wins with all those wilds on the reels! Ramesses Riches has all the best features of classic casino dice slot games to offer. Just play for the 20 winning lines across 5 reels with 3 dice, with all the wilds and scatters you need for impressive wins! Ramesses Riches offers wilds in the form of Ramesses himself. The generous pharaoh will even double the winnings of any winning line he is part of! Just like wilds, scattered ankh symbols can occur on any of the 5 reels. Get at least 3 of them to unlock up to 20 free games where all wins are tripled by default and all wins with wilds are even multiplied by 6! Want to win even more? You can! Ramesses Riches offers you a chance to wager every win you make in the regular game in a bonus gamble round. Just try and correctly predict the colour or suit of the next playing card to appear. Get it right and you’ll double or even quadruple your wagered win! Saddle up, cowboy: we’re going to the Wild West! In this cartoonishly fun dice slot game, you wind up in a dusty saloon in the Old West, and you’re invited to a game of poker. With its sufficient wild and scatter symbols, free spind and superbet option you’ll walk away with your saddlebags full of riches! Wild West brings those old frontier days back in colourful cartoon imagery. Come to the saloon for a round of poker with the casuals: even the cowboy’s horse is playing! Wild West doesn’t overcomplicate matters: just choose a base stake size and start playing! This dice slot game has 5 reels of 3 dice, and there’s 10 winning lines you can make a combination along. There’s up to 1,000 times your base wager to be won here for the highest combination. Who else than the cowboy could be the wild here? He might be involved in a poker game, but he’s not playing around! Every time you manage to get his symbol on a winning line, you automatically get 5 free games, where scatters will now appear to give you your stake back every time you get them! Welcome to Dragon Drop, where the wilds fall from the sky! Let the cute little dragons help you to make the biggest wins here. They’ll drop down from above to give you the wilds you need for bigger winning lines! Dice slot game Dragon Drop has all the elements of a classic dice slot. You can play across 5 reels of 3 dice each, and there’s 25 selectable winning lines to choose from. Base bets can range from a careful €0.01 all the way up to an adventurous €2.50 per winning line. Either way: there’s a possibility to win 5,000 times your base stake! Dragon Drop takes a lot from the classics, but its system of wild distribution is wholly unique. Wild symbols can occur on the three middle reels (2, 3 and 4). How? Just look at the dragon sitting on top of these reels! If one or more of them descend, they’ll make one of the symbols they pass into a wild for you! Dragon Drop has wilds and scatters, of course. Get 3 scatters and you’ll even unlock the free games bonus! You can win these 8 free spins if you can get 3 scatters – winning line or not. During these free spins, all winnings are doubled, and dragons that appear will hold on to their reel during these free spins. Play Savings Dice, the strategic dice game that puts money aside for you and multiplies it up to 36 times! Let the friendly troll help you gather your riches, and watch him smile wider and wider as you get more coins! Savings Dice offers classic strategic dice game action with a twist! Thanks to the unique savings feature, you can win your stake 36 times over if you play patiently. Collect 3 coin dice and you’ll put a coin of the value of your stake in the savings vault. You can pay out any time you like, but wait for 6 coins for the biggest reward! Of course Savings Dice also has a bonus wheel! Here you’ll get a number of points that will guarantee a win, or even the much coveted mystery games. During mystery games, all winning lines that give a points total of over 100 points will pay out the maximum prize for your stake: that’s up to 600 times your stake to be won in this bonus round! Savings Dice also has some nice extra points to win. If you can get 9 identical dice in 1 slot, you’ll get 200 points extra. The game also has multipliers: get 1.5 times your points total if you get winning lines in 3 slots. There’s even 2 times your points total if you manage to get winning lines in all 4 slots! Fingers on the trigger for Wild Jack, an action-packed dice slot game set in the Wild West! Provider Beefee promises the best in contemporary online casino gaming, and delivers beautifully with Wild Jack! The lively Wild West theme comes to life through clear visuals, vivid colours and subtle animations. Don’t let its tough cowboy’s exterior scare you off: this game is for everyone! All types of players can get the most of it, as its stakes start at the lowly €0.10 and go all the way up to a sizable €50. Wild Jack has stakes from €0.10 to €50! The Bandit symbol is Wild, which means it can constitute for any other symbol except for the wagon symbol. The wagon symbol is a scatter symbol: get 3 of them anywhere on the screen and you win 15 free games! Unicorns aren’t at all rare in dice slot game Unicorn Legend: the mythical creatures roam the magical lands of this fantasy dice slot in droves – and even better, they’re wild! In its free games bonus round, these unicorn wilds will multiply your winnings by up to 12! Dice slot game of the next generation Unicorn Legend brings the unicorn myth to life in an unparalleled way. It sports beautiful fantasy imagery and animation, as well as a sound track to go with it. Easy to pick up but harder to master, this dice slot game will entertain both beginners and pros. In Unicorn Legend, you’ll spot plenty of unicorns across reels 2, 3 and 4. These unicorns are wild, so they’ll help you get bigger winnings by increasing the chance of long consecutive combinations along winning lines. They’ll even multiply your winnings by up to 12 in the free games bonus rounds! Scatters pay out as soon as 2 appear, even if they don’t happen to be along a winning line. If you have at least 3 they will trigger the lucrative free games function! These free games offer a novel strategic element. You can choose between 10, 15 or 20 free games and this determines by how many times your winnings with wilds are multiplied during these free games. Will you go for the maximum amount of free games and a modest winnings multiplier, or less free spins with a higher winnings multiplier? Enjoy strategic dice gaming in its purest form! Pure offers captivating bonuses: you could get plenty of extra points, respins, mystery games and even 1 of 3 jackpots this way! Pure is a joy to play thanks to its uncomplicated style. Just arrange the dice columns in the available slots at your own pace, one by one. Want to play faster? Then keep your finger on the auto button and click away as the game decides where to move the columns for you. Looking for even more action? Then use full autoplay for the fastest excitement! Try to get a winning line of bonus wheel symbols: that’s what you need for a chance at one of the 3 jackpots or some very lucrative mystery games! In the bonus wheel round, you spin the wheel, and if it lands on either jackpot or mystery games, you’re almost guaranteed a very nice payout! No worries if you can’t land on either of the big prizes: there’s still a chance you’ll get 40 or 100 points! Pure also gives extra points: 1.5 or even 2 times your points total if you get points from 3 slots or 4 slots respectively, and 200 points extra if you get a slot full of identical symbols. Dice Cup promises football madness in strategic dice game form! Straightforward, easy, and fun to play, this game almost literally puts the ball at your feet. Will you score the penalty shootout bonus? Only one way to find out! You’ll want to go for the red Chinese symbols: three of these along a winning line will give you a chance for a big prize in the penalty shootout bonus round! In this bonus feature, you’ll be presented with four football players, ready to strike the penalty kick. Just choose a football player to reveal your prize. There are mystery games or up to 1000 points to win this way, which means you could get your stake paid out a 100 times over! Dice Cup has a few extra options to score extra points and help you get the really big prizes! You’ll get an extra 200 points for nine identical symbols in one slot, on top of the score for the winning lines themselves. If you manage to make winning lines in three slots, your score will be multiplied by 1.5. Scoring winning lines in all four slots will multiply your score by 2! Travel to Egypt and dig in the desert sands to find the Pyramid Treasure! This adventurous dice slot game has a symbol that is both scatter and wild, and offers free games too. Pyramid Treasure offers gameplay suited for all types of players. The game allows bets from just €0.10 for novice players, to €50 for advanced players. There’s always a stake for you! In this game, the scatters are also wilds! Any number of these pyramid symbols anywhere on any of the 3 reels will guarantee a nice payout. As wilds, they can also start, connect or extend winning combinations. On top of the benefits that the scatters already promise, they are also your ticket to free spins if you get 3 of them. During free spins, which are always played at the triggering stake, random symbols can be changed to wild scatters too! Heed the Call Of The Colosseum as a gladiator in this action-packed dice slot set in the Ancient Roman Empire! Brave all dangers of the brutal colosseum and fight for glory and treasure in the arena. Those who are about to win salute you! Gladiators fought for the emperor’s entertainment, and here, he’ll grant you more than your right to fight another day! Whenever an emperor symbol appears, you’ll get a significantly bigger chance of a sizable win, as these symbols are wilds: they’ll stand in for any other symbol to connect or extend winning lines! Another valuable symbol in Call Of The Colosseum is the shield. Not only can you defend yourself in the arena, but with 2 of these shield symbols, you’ll win a cash prize, no matter where these symbols are on any of the 5 reels! Even better: with 3 of them you’ll unlock 10 free games! Emperors can grant you extra free games! In the free bonus games you unlocked with at least 3 scatters, the emperor may grant you additional free games. Whenever an emperor symbol appears during free game play, he’ll either give you a thumbs up or a thumbs down. Thumbs up means you win up to 3 extra free games on top of those you’re already playing! Join us for another adventure with Merlin the magician! In this simply magical dice slot game, Merlin will help you with wins all over the place, with stacked wilds, respins, and free games! In Merlin’s Magic Respins, the wilds (symbols that can replace any other symbol other than scatters) are stacked, meaning that they appear consecutively on the reels. So it’s likely that you’ll see a whole reel of wilds during play! As the name of the game says, Merlin’s Magic Respins has an interesting system of respins, linked to the popular Superbet option. Increase your stake with Superbet and you’ll increase your chance of huge winnings. A full reel of 4 stacked wilds will hold that reel, and you can get up to 5 respins. Get more reels full of wilds during these for additional respins! If you get 3 cauldron symbols, you’ll trigger the valuable free games. Your next 7 spins will be totally free! Of course you can get another set of cauldrons for additional free games, but again the wilds steal the show: Merlin will randomly give extra wilds, and as during regular play, a full reel of wilds is held! It is said that gazing upon the mythical Eastern Dragon will ensure eternal life. In this dice slot game, it’s more like eternal riches that you’ll encounter! Wild dragon symbols are key here: just 2 of them and you’ll get free games! Eastern Dragon behaves just like a classic dice slot: fast action galore! But look further, and the game has some interesting tricks up its sleeve. Wilds that trigger free games instead of scatters, for example! And to assure that all types of players can get a chance at the dragon’s eternal riches, there’s up to 3,000 times the base stake to win – at any stake! In Eastern Dragon, the wild dragon symbols are the most important. These symbols appearing on the first reel and the last reel are your key to the free games. Get 2 wilds, and you’ll start 15 free games! That’s not all the dragons will do for you, either: any win that includes a dragon is doubled during regular games, and even tripled during free spins! The coin symbols are of no less importance. These scatters pay out regardless of where they pop up on reels. It doesn’t matter if they occur consecutively, or even along a prescribed winning lines! With Bank Robbers 3S, you’ll find yourself in the heat of bank heist! There’s good cash to be won in this strategic dice game, with a cashback wheel and a very interesting bonus round based on “deal or no deal”. Of course not every single spin can be a win, but Bank Robbers 3S already pays you back just for spinning. If you go 40 spins without winning, even if this happens over 200 turns, for example, the cashback wheel will help you out. Watch it spin automatically and grant you a number of points that will guarantee a win. You’ll get at least 100 points this way! In the bonus game, you’ll find yourself inside the vault of the bank. You can now blow up any of the money boxes, which destroys and shows their content, and annoys the bank director. At intervals, he will offer you a prize to stop destroying his money. You can take the deal, or you refuse the deal and keep blowing boxes hoping for a better deal. If you continue, you’ll win the contents of the last remaining box. You can get extra points for increased wins by filling a slot with 9 identical symbols (200 points), getting winning lines in any 2 slots (1.5 times your points total) or getting winning lines in all 3 slots (2 times your points total). Ghosts and Graves is the spookiest strategic dice game in our wide selection of online casino games. Players who dare enter the ghostly cemetery after dark will discover nothing but treasures among the coffins! In this bonus game you’ll crack open up to 24 coffins to find your prize. This could be a points prize from 100 to 1000, or a number of mystery games. The first prize you uncover 3 times will automatically be yours, so choose carefully! Every turn, whether you win or not, will add a little to the blood level in the vial of the Blood Bonus. When it’s full, you’ll be awarded a random points bonus of at least 100 points! Mystery games can be won through the coffin bonus game. During these games, you will play at your chosen stake, and any win of at least 100 points pays out the maximum prize for your stake! Playing at a stake of €10-€15 to unlock the high stake bonuses, giving you a chance to win a free spin after each completed spin. Playing at a stake of €20 or more doubles this chance! If you manage to get winning lines in 3 boxes, your points total is multiplied by 1.5. Get winning lines in all 4 boxes and receive your points total times 2! For 9 identical symbols in 1 box, you’ll get another 200 points! Farmer’s Delight is a colorful strategic dice game where your farm grows three different jackpots. These can be won on any stake level. There is also an interesting bonus feature! With three basket symbols on any winning line (diagonal or horizontal), you unlock the basket bonus round. All nine symbols in the slot where you had the three basket symbols will now automatically spin three times, and the points that each of these spins brings you will be added together. Combined with the multipliers for winning lines in three or four slots, this can significantly boost your winnings. Additional extra spins of the nine symbols are possible too whenever you get another three basket symbols! In the basket bonus rounds, you can get egg symbols. Three of these will unlock the egg bonus round, where you’re guaranteed to win one of Farmers’s Delight three jackpots! The goal in this egg symbol bonus round is to hatch eggs with matching chicks. The jackpots that you can win are tied to the number of matching chicks: three matching chicks means you win the grand jackpot, two matching chicks means the middle jackpot. Even if you don’t have any matching chicks, you’ll still win the minipot! In Emperor’s Garden, a dice slot game in an gentle Oriental setting, you can take a relaxing stroll through the Emperor’s private garden. Marvel at its riches: there’s expanding wilds to fill whole reels! In the pond you can fish for koi, and 3 of these will give you free games during which the wild wins are tripled! Wilds are symbols that can substitute for any other symbol, except for the scatters. These wilds, which are represented in Emperor’s Garden by garden symbols, occur on reels 2, 3 and 4. They have a really lucrative feature to them: every time a winning combinations goes through a wild, it expands to fill the rest of the reel! This advantageous feature is key to huge winnings here! Scatters are symbols that pay out for any occurrence of 2 or more, it doesn’t even matter if they occur along a winning line or not. And, aside from the value you will get for these symbols, you will also get 10 free games if you have at least 3 of them! It gets even better: during these free games, all wins that include a wild (which will still expand along the whole reel!) will be multiplied by 3! In playful next-gen dice slot game Pandamania, we chase a mischievous panda that escaped from his keeper. This game will surprise you with its easy to be triggered bonuses through two types of scatters: one for free games and another for a cash bonus! At random, the escaped panda will appear. He’ll drive across the reels at random after any given spin, and will turn symbols into wilds. This can greatly improve your chances of big wins, as these wilds can be the missing piece of that combination you need! Scatters, which are symbols that assure a payout no matter where they are in the field, also give free games if there’s 3 or more of them. Regardless of how many of these scattered symbols you get, you’ll always get 10 free games. These free games are very lucrative: all wins are doubled, and they can be retriggered during free games that are already in progress. The Pick Me symbol in Pandamania is also a scatter that only appears on reels 2, 3 and 4. They don’t have a payout of their own, but 3 of these will trigger the Pick Me bonus round for you! Here, you will get to choose any of the 3 boxes: each hold a prize, so you’ll always win. You could win just one cash prize, two cash prizes, or all three cash prizes! Le Doubleplay Superbet est nommé ainsi grâce à ces deux caractéristiques : vous pouvez booster vos gains en augmentant le montant du multiplicateur Joker, et augmenter le nombre de rouleaux sur lesquels les symboles Joker peuvent apparaître. Pas de secret ici, cela augmentera évidemment grandement vos chances de remporter des gains à plusieurs chiffres ! Le Doubleplay Superbet contient des symboles Joker : ces symboles peuvent vous aider à créer des lignes gagnantes plus grandes ou être le chaînon manquant pour la ligne gagnante à 5 rouleaux ! Les symboles dispersés peuvent également vous aider à augmenter vos gains. Ces symboles vous feront gagner de belles sommes même ci ces derniers n’apparaissent pas forcément sur une ligne gagnante. Dans ce jeu, vous allez pouvoir profiter des symboles Joker et symboles dispersés bien sûr, mais vous posséderez également un contrôle plus accru : le Doubleplay vous laisse décider du montant que les symboles Joker peuvent multiplier et avec le Superbet vous pouvez décider sur quels rouleaux ces derniers doivent apparaître. Tentez votre chance via le mode Pari ! À chaque victoire, vous vous verrez offrir la possibilité de jouer un spécial round ou vous pouvez multiplier vos gains plusieurs fois ! Devinez juste la couleur ou la la bonne enseigne de la carte en jeu et si vous donnez la bonne réponse, vous pouvez multiplier vos gains jusqu’à 1024 ! Come over and watch our funny jester at play in Joker Jester, a colourful dice slot game that promises fame and fortune! Joker Jester offers wilds and scatters, of course, but also two bonus rounds which almost guarantee cash wins! Wilds, represented by the joker symbol, can help win additional paylines by starting, connecting and/or extending winning combinations. The jester symbol will occur from itself on all 5 reels, but you can get additional wilds after every spin. Whenever the jester appears, he will randomly turn symbols into wilds! This first bonus round is easily triggered with 3 egg basket symbols anywhere on reels 1, 2 and 3, payline or not. Whenever this happens, you enter a bonus round where the joker will juggle eggs. You can give him additional eggs to juggle for bigger bonus wins with each egg. Watch out, though: too many eggs and he’ll fumble, which stops the bonus round! This second bonus round can be won simply by getting 3 barrel symbols anywhere on reels 3, 4 and 5, regardless of paylines. In this barrel bonus game, you can pick barrels that contain cash prizes when you click to open them. The jester hides in one of the barrels, and if he pops up, the bonus round is over. The longer you avoid him, the more you win! Help the Mad Mad Monkey find his way to the valuable bananas in the deep jungle in this fun dice slot with many bonus features! The monkey symbol is a wild symbol that can substitute any other symbol (except scatters). This way it can connect or extend winning lines. It also doubles the payout of any winning combination it appears in! This is a scatter symbol: wherever two or more of these occur, winning line or not, you’ll always win. Get three or more to activate 10 bonus rounds with triple winnings on all winning combinations! This is the most valuable symbol in the game. It already pays out for two instances on a winning line and also has the highest potential payout: five of these on a winning line delivers 1000 times your bet size in winnings! You can use any win in Mad Mad Monkey to play a gamble feature. Guess the colour or suit of a playing card: right guess and you get double or quadruple your winnings. You can guess correctly up to five times, for a maximum of 1024 times your winnings! Watch out, though: guessing wrong here means you lose all the winnings you started the feature with. Find the crown and be treated like royalty! Medieval-themed dice slot game Royal Crown promises royal riches from two directions: winning combinations can also come from the right side in this game! If you think dice slot games only pay out for winning combinations that come from the left and run to the right, then you’re in for a treat with Royal Crown. Here, the winning combinations will be counted from both sides: left to right, and right to left! What’s royalty without a crown? Go for the crown symbol: it’s the wild in Royal Crown, and as such it might help you a great deal in securing longer winning combinations. There’s even more! If you ever find a wild on a reel, that entire reel will expand into wilds, and will be held for a respin! Holly Madison invites us all to spend an evening with her. Who could say no to all of her generosity? When Holly Goes Wild, she can turn entire reels into wilds, which can connect or extend winning lines. This even gets better: it’s possible for Holly to turn three reels into all wilds, which means stunning wins are guaranteed! Get two scatters and besides their cash value, you get Rockin’ Re-Spin: reels with scatters on are held, and the others three spin again. This increases the chance of getting more than two scatters, which in turn means free games! Three scatters means 10 free games, during which you can collect valuable kisses. These will give you a chance to multiply your entire free games winnings in the Photoshoot Bonus round that follows! Here, Holly tries on outfits, and if she likes one, she’ll show it off. You’ll have your free games winnings multiplied for every photoshoot! Follow the money in a nerve-wracking bank heist with strategic dice game Bank Robbers 4S! The 4S refers to the 4 slots: there is also a 3-slot version available. If you can’t win 30 times, the cashback wheel in the top right corner will spin and award you a random number of points. As this amount is at least 100 points, you are guaranteed to win a prize! In the bonus game, you’ll find small 20 money vaults that you can choose to blow up. Click on a box to rig them with explosives. At intervals, you can push a button to detonate the explosive charges. After every detonation, you’ll also alert the desperate bank director, who will offer you a deal: he will pay you a cash prize if you stop blowing up his precious money. If you accept an offered deal, you will return to the main game with this prize. If no deals are accepted, you will receive the contents of one of the two remaining boxes. To the left and right of the vaults, you’ll see the prizes that can still be won (in white) or already destroyed (blacked out). Use this knowledge to make the correct decision to go on or take the deal! Strategic dice game Hi & Lo Dice offers the best of both worlds: experience the strategy in the regular game, and the thrill of hi-lo in the bonus feature. Make the right choice, there’s big cash to be won! Hi & Lo Dice lets you pick a strategy: will you go for a quick win through the symbols with lower payouts, or will you take the more risky route of collecting the higher paying symbols, or even the bonus on a winning line? The choice is entirely yours! Unlock the bonus feature by getting 3 bonus symbols on a winning line. Here, you’ll experience the thrill of a hi-lo game. The dice will roll to reveal a certain number – will the next roll show a result that is higher or lower? Your winnings depend on your correct guess here, so choose carefully! In Hi & Lo Dice, you can earn extra points in no less than 3 ways. There’s 1.5 times your points total if you get winning lines in 3 slots and 2 times your points total for winning lines in 4 slots. You can even get another 200 points extra if you manage to fill a slot with 9 identical symbols! In dice slot game Owl Eyes, you follow the eyes of the owls into the enchanted forest, but don’t worry about the darkness: the light of the full moon will guide you to unseen riches! With 50 winning lines and 5 reels of 4 dice, Owl Eyes offers some of the most elaborate gameplay in dice slot games. The graphics top it off nicely, lose yourself in the magical forest and its wonderful small animations! Even though they may only occur on the second, third and fourth reel, the wilds never come alone in this game! They’re always stacked: they occur in sequences on reels instead of randomly dispersed. Basically, there’s a greater chance of having multiple wilds on the same reel this way. This could possibly lead to situations where the second, third and fourth reels are all wilds simultaneously! Whenever you get 3 full moon symbols, something magical happens: you get 5 free games! During these games, which you’ll play at the stake you won them in, there will be extra stacked wilds on the second, third and fourth wheel. The best part? Full moons are scattered symbols: they don’t have to occur on a winning line to give you the free games you’re after! Come join our famous Sailorman and his friends for a good time in this fun strategic dice game! This game is decked out with many extras, including a symbol saving bonus and a jackpot! All you have to do to unlock the generous golden games, is collect 3 anchor symbols on a winning line in any of the game’s 3 cases. Just click on the barrels at the right moment and you’ll win at least 1 game in which any points value of 100 or more pays out the top prize for your stake! Sailorman offers an interesting savings bonus! You can collect ship’s wheels: one ship’s wheel will be added in the counter for every winning line of 3 ship’s wheels in any of the 3 cases. As soon as you save up 6 ship’s wheels, you get a stake-tied reward! There’s many extra points to be made in Sailorman’s world! Get 1.5 times your points total if you get winning lines in 2 cases, and even 2 times if you manage to do this in all of the game’s 3 cases! There’s also a 200 points bonus if you can fill any case with 9 identical symbols. Gold Reels, the dice slot version of our highly popular strategic dice game 24k, is all about action: just click to spin, and win. As with 24k, there are also three different jackpots to win! In Gold Reels, the black joker hat symbols are wilds: they can substitute for any other symbol except the scatters. These can help you make longer winning lines for higher payouts! Golden 24K symbols are scatters: 3 or more anywhere on the reels triggers a bonus wheel round. Get 4 of these and you get a mystery game on top; get 5 and you’ll even receive 6 extra mystery games! Take the bonus wheel for a spin and score a guaranteed win! There’s either a cash prize of up to 100 times your stake, a number of mystery games, or any of the three jackpots! Gold Reels has 3 jackpots, all available to win through the bonus wheel round: a grand jackpot, a regular jackpot and a minipot. These fixed jackpots can be won at any stake! These games will be automatically played at your chosen stake. This is where the big wins are, as any win here pays out the maximum possible payout for your stake! Potion Commotion is a dice slot game of the next generation that really delivers on its name, with lots of magic commotion caused by the many wilds and scatters that are to be found across its 5 reels! There’s wilds and scatters all around, and up to 20 free games to be won. Come find out what the commotion is all about! Wilds appear on all reels to substitute for any other regular symbol (except scatters), present here as potions symbols with the word “wild” on them. You can use wilds to start, connect, and/or extend winning combinations along your active paylines. For every 2 scatters you manage to get, you’ll get a prize – no matter where they are on the reels, payline or not! Scatters can be found on all 5 reels as symbols bearing the words “Potion Commotion” on them. Besides their value for any occurrence of 2 or more, these valuable symbols also give free games when there are at least 3 of them! Scatters, represented here by the “Potion Commotion” symbol, may not pay out that much on their own, but they do cause a commotion through the free spins they trigger. During these free games, all wins are tripled! 3 scatters gives 10 free games, 4 gives 15 and 5 gives 20. The free games can also be retriggered for additional winnings. Mystery Chips is a smooth and high quality strategic dice game for a real casino experience. Get up to 20 winning combinations in its 4 cases, and win up to 100 times your stake on any turn! If you get a winning combination of 3 chips bonus symbols, you enter the chips bonus game. This is where the real money’s at! You can click the chips to show their value, and win anything from at least 100 points (guaranteed win!) up to 1000 points (100 times your stake! ), or a number of mystery games. During the mystery games you can win in the chips bonus, all wins will be worth the maximum of your stake. Any points total of 100 or more will pay out 100 times the stake at which you’re playing! You can win 2 to 5 mystery games in the bonus game, so that makes possibly 500 times your chosen stake! There’s many ways to help you get extra points needed for those bigger wins. Every time you manage to get winning combinations in all 4 boxes, your points total will be doubled! Even if you just get winning combinations in 3 of the cases, you will still get a multiplication: 1.5 times your points. If you have the luck to fill a case with all identical symbols, that’s another 200 points! Look no further if you want a realistic casino experience right in front of your computer! Big Cash Win features looks and sounds of the real deal. So start lining up those sevens, bars, or cherries, because just as the name suggests: this is your go-to game for a Big Cash Win! Big Cash Win not only looks just like it jumped from a classy Las Vegas casino to your screen, it also brought the sounds of the casino floor along. This creates such an immersive experience that it will leave those who’ve never been to a casino wanting to go visit a real one! Big Cash Win offers very rewarding wins for all sorts of players. It’s your first time at a dice slot machine and you’re not willing to risk much yet before you get the hang of it? Or are you a seasoned pro that knows the ropes, wants that biggest prize of 2000 times your stake, and is not afraid to take risks to get it? Thanks to stakes ranging from €0.01 to €20, everyone can play at his or her pace and budget! Go for stellar profits in the intergalactic adventure of dice slot game Star Fortune! This game has some truly interesting features that make it stand out among its peers. Can you make the most valuable combinations of coloured crystals? Star Fortune operates the same as other dice slot games with 5 reels of 3 dice, with one slight but very important unique feature: winning combinations can not only start from the first reel, but also from the last reel. Needless to say, this could increase your chances of winning, regardless of the stake size you’ve chosen. And with stakes ranging from €0.05 to €50, every type of player can take on the challenge! Whenever you spin and a rocket lands anywhere on the middle reels (2, 3 and 4), you’ll have to watch out for big wins! The rocket is wild, and it will substitute for other symbols, so that you can use them to connect or extend winning combinations along the game’s 5 or 10 paylines. There’s even more: wilds will expand to fill the entire reel they occur on, and then you’ll get a respin with the wild reel held! If more rockets reappear during your respin, you will receive an additional respin with ALL rockets held! Deep in the jungle, the mighty tiger is king. Go on a true adventure in this dice slot game, and don’t fear the tiger: he’ll lead you riches beyond your wildest dreams! King Tiger offers versatile gameplay with several ways to win different amounts. Change your base stake, the number of winning lines or both! All symbols have different payouts: win up to 5,000 times your base stake for the right symbol 5 times on a winning line! Tiger symbols are wilds, and occur on reels 2, 3 and 4. They can represent any symbol needed to make a winning line. This way, they can make or extend winning lines that wouldn’t be there otherwise. They’ll even appear stacked on all 3 reels that have them! That’s right: starting from 3 scattered symbols, you’ll get 10 free spins at the stake you were playing at before! These free games have a multiplication factor of 3: every win you make during your free spins will be tripled! Dive into the ocean and search for pearls! This game promises simple strategic dice gameplay with very achievable winnings – and it delivers too! Open The Pearl offers a clear no-nonsense approach to strategic dice gaming: focus on clicking away those dice columns and make some quick cash. Go for the easier small wins, or the more challenging big wins: it’s all up to you in Open The Pearl, with little distraction! The bonus round in Open The Pearl is triggered through the red symbol. When you trigger it, you will find 4 oysters, one in each case. Click the one of your choice to reveal your prize! This bonus always gives a points bonus of at least 100 points and up to 1000 points. All prizes guarantee a win! Open The Pearl has many ways to earn extra points. For example, if you manage to get winning combinations in all 4 cases, your points total will be doubled! For only 3 cases, there’s a nice multiplication of 1.5 too, to get you over the 100 points threshold for a cash payout. There’s also a prize for when you manage to fill a case with 9 identical symbols: 200 points extra when you pull this off! Excitement and speed rule in dice slot game Octane Overdrive! Race the streets of Velo City in high quality and gather bigger winnings the faster you go thanks to a novel win multiplication system! Marvel at the smooth non-stop animations as you race through the neon-lit streets of Velo City at night – all in beautiful first person. This game really brings both the casino as the race game experience directly to you, in high quality no less! Octane Overdrive has a defining feature that makes it stand out: its multiplicator system. Basically, every win earns a new multiplication factor. Every time you win, you shift gears up, and the new gear you are in equals the multiplication of your next win. This way, you can continually win up to 6 times the base value for the combination you have! When you get to gear 6, you can go up one more gear: nitro boost. The nitro boost bonus symbol can appear on all reels when you’re in sixth gear, and it will award you up to 50 free games. The free games all have a multiplication factor of 6 for everything you win. There’s up to €25,000 to win! Casinomeister, the online watchdog against casino malpractices and advocate of fair play, has his own dice slot game. There’s a generous amount of wilds, but the defining feature is its free games system: they are unlimited! Wilds are symbols that can start, connect or extend combinations along the paylines you have active. As such, they are much sought after to help with securing the biggest wins! In Casinomeister, they appear as the Casinomeister character. They appear randomly on all rolls. Scatters are symbols that pay out for any occurrence of 2 or more, no matter where they are found in the game field. They appear on all reels and don’t even have to occur consecutively, or along any active payline! These symbols are also the key to the free games. Vortran the robot functions as scatter symbol in this game. 3 or more scatters trigger free games. There’s no counter on these when you start them – they are basically unlimited. However, if you get a rogue symbol, a counter of 5 free spins remaining will appear. But even then, the free games don’t have to end right away: just get a jail symbol to get rid of the counter and get back to unlimited free spins! Take a safari on the African plains and come meet the animals up close! There’s elephants, zebras, hippos… And of course, the main attraction: the lion! In Super Safari, the wild lion is far from dangerous: in fact, he’s the reason you’ll keep playing this game! Super Safari checks all the boxes of the dice slot genre: 5 reels of 3 dice each, with 25 selectable winning lines. With stakes ranging from €0.01 to €62.50 per spin, any type of player will want to take part in this safari! Lion symbols are wild and if your get 3 of them, they will show you just how wild they can get! Any time you can get 3 lions, they will give you 3 re-spins with expanded wilds and tripled prizes! If you manage to get 3 or more scattered cars, you’ll receive 10 free games with double winnings to be played at the stake you opened them in. You can also win super spins during these free games. During the super spins all winnings are multiplied by 5! Super Safari also has scatters in the form of hippos. Get 3 or more of these and you’ll get a pick bonus: just click a hippo for a quick prize of up to 150 times your bet! Would you dare to look upon Medusa, with her petrifying gaze? In Medusa II, sequel to the popular dice slot game inspired on the Greek mythology of Medusa, you once again cross paths with the beautiful monster. And once again, you can come away with you pockets filled with cash! Where regular dice slot games have a system of winning paylines you have to complete for a win, Medusa works with fixed winning combinations of 3, 4 or 5 symbols: the more symbols, the bigger the win. This way, there are 243 ways to win, instead of just the number of winning paylines! Wilds, scatters and free games: Medusa has it all. One of its defining bonus features is the “turned to stone stacked wilds” bonus. In this random feature, Medusa petrifies soldiers, which reveals a reel that fully consists of wilds! At random, Medusa will appear to lock any number of reels (2 to 5). These reels will then be identical, which means that your chances for a winning combination will be greatly improved! If you win free games, she will even be present during all 10 of them! Let’s make it hot for Stunning Hot, a fiery dice slot game straight from the Las Vegas casino floors! Enjoy the authentic elements while you can make up to 1,000 times your chosen stake! This dice slot game offers all the thrills of the true casino classics. Hunt winning combinations of identical fruit across 5 reels that each have 3 dice on them. There’s 5 winning lines, and the stakes are some of the widest available: start as low as €0.05 and go as high as €50. This way, all types of players can make it the first stop for casino playing. Scattered star symbols will help you a great deal here: these symbols will pay out no matter where they appear on the reels, even if that’s not along a winning line! Any three of these special symbols will suffice to give you a nice payday. Up to 1,000 times your stake to win! Stunning Hot offers a wide array of stake options. To accommodate all types of players, it allows stakes that start from €0.05 per spin, all the way up to €50. Regardless of your stake, you can always win the same factor of your chosen stake: up to 1,000 times for a possible win of €50,000! Royal Dice HD, one of the most popular games in our gaming halls, is a classic dice slot game that has 5 win lines, and stakes ranging from €0.10 to €2.50. Then there’s the wheel of fortune, where you’ll get a number of spins at the wheel depending on your stake. Royal Dice HD has a lucrative wheel of fortune system: the number of spins you can get here is linked to your stake level. The higher your stake, the more wheel of fortune games you can receive. You can trigger the wheel of fortune through three dice combinations: at least four “five” dice, at least four “six” dice, or at least four red symbol dice. Your prizes here include a random number of extra spins, or a cash prize of €15, €25, or €50! In Royal Dice HD, the blue symbol dice are scatters. This means that no matter where they appear, you’ll win guaranteed, even if it’s not on a win line! Payouts are guaranteed from any appearance of at least three of them, and the more blue symbol dice you get, the higher your payout. You can get up to 50 times your stake this way! Welcome to refreshing strategic dice game Molino Dice! This game has all the elements of strategic dice games popular in casinos everywhere, and adds a little bonus magic of itself. Molino Dice offers the pure classic strategic dice game experience that can be found in casinos all over the world. With 3 cases, 15 possible winning combinations and 10 different symbols, winning has never been this entertaining! If you can manage to get 3 bonus windmill symbols in a winning line, you will find yourself in the bonus game. Just spin the windmills 4 times and see what the resulting sum of the dice on the wings is. Identical dice have a multiplication and there’s up to 1920 points to win! Rather unique to strategic dice games, Molino Dice has free games. Every time you can get 5, 6 or 7 bonus Molino dice anywhere on the screen, you will get 6, 9 or 12 free games respectively. You don’t even need large winning combinations to win big this way! In Molino Dice, you can double your points if you can score winning combinations in all 3 cases! Even if you get only 2 cases, you’ll still get a multiplication of 1.5. Finally, there’s 200 points for filling a case with identical symbols. He’ll make you an offer you can’t refuse… The Codfather is a fishy parody to the popular Godfather films. Taking cues from the films, you can meet rival mob bosses who’ll give you cash gifts through the wild bonus! The Codfather is an action packed dice slot. 5 reels of 3 dice, plenty of winning combinations with even 2 symbols along one of its 20 paylines… Just spin and win! Stakes range from €0.01 to €100 per spin, so this dice slot game can make any dice slot fan dream of a big win. The Codfather himself functions as the wild symbol in this game. He’ll double any win he occurs in, and substitute for any symbol that’s missing from a winning combination. Get 3 of these anywhere and trigger the wild bonus: here, you get to pick a mob boss who’ll give you a cash prize! Scatters pay out a cash prize for any appearance of at least 2 anywhere on the game field – and if you get more than that, you get 10 free games on top. During these, all your prizes will be tripled. You could even score another set of 10 free games, which will just add to the counter! Royal Wheel is a true classic in our selection of online casino games. This strategic dice game has an interesting bonus game round that allows you to win up to 600 times the amount of the stake with which you play! Every time you get three red bonus symbols on a winning line (horizontal or diagonal in any of the four slots), you will enter the bonus game. When you see the wheel, you can click “start” to spin it. This bonus wheel will award you a prize of either between 100 points and 1000 points, or up to six mystery games. This guarantees a win, as any points value of 100 or more always pays out. When Royal Wheel’s bonus wheel lands on “bonus”, you are rewarded with a random number of mystery games (up to six). These mystery games will be played immediately after your current spin is finished. Any points value of 100 or more that you get during these mystery games will pay out a hundred times your stake. Score points in 3 out of 4 game boxes to multiply your score by 1.5. Score points in all 4 boxes to double your score! In fantasy dice slot game Titan Storm, you join the mighty Titans. Are you brave enough? There are riches to be found here, where wilds and scatters can combine for more powerful winnings! Wilds can connect and extend winning combinations, and scatters pay out no matter where they appear on the reels. Both of them will appear on reels 2, 3, and 4. As quite a unique feature, Titan Storm allows wilds to even substitute for scatters! Not only that, either of them are the key to the 10 free games, as long as there’s a scatter or a wild on the 3 middle reels! Every time you manage to get 3 wilds or 3 scatters, you will be taken to Titan Storm’s free games feature. Here you’ll get to play 10 spins for free at the stake you had when entering them. During free games, wilds and scatters are combined, and any win you make that strings along 5 identical symbols, is automatically multiplied by 5! Titan Storm gives you the chance to gamble everything you win, with a very interesting promise of up to 1024 times the amount that you won! You can double your winnings by guessing the correct colour of a playing card, or even quadruple them by guessing the right suit. Don’t guess wrong, or you will lose everything you made up until then! The luck of the Irish never ends, because now our Irish lady from Irish Eyes returns in the sequel Irish Eyes 2! Hunt for the pots of gold for free games where every win is multiplied by 3! In this dice slot game, the Irish lady symbol serve as wilds: symbols that can replace any other symbol (except scatters). As such, you’ll want to look deep into those Irish eyes! These symbols don’t only substitute, they also give out a big prize of their own if you manage to line them up on a winning line! Pots of gold at the end of the rainbow! Irish legend says that leprechauns hide a pot of gold at the end of a rainbow. This game lets you find out for yourself! Collect 3 scattered pot of gold symbols and you’ll receive free games where everything you can win is automatically multiplied by 3. The more scatters you have, the more free games: up to 20 free games to be won! If you like strategic dice games, you’ll get a shock out of Flash Dice! This straightforward dice game has a truly electrifying bonus to win in the form of flash games. There’s also multipliers, of course! Flash Dice boasts the classic strategic dice game action that makes the game genre so popular and adds a personal twist! With 6 different stake sizes, this game can attract players of all kind looking for a truly shocking win. There’s always up to 400 times your stake to win! Flash games are paid games you can win, where all wins give you a random bonus of 20, 100 or 200 times your original stake. The number of flash games you win depends on the points total you won before: there’s up to 4 flash games to win this way! Every time you manage to get a frame filled with identical symbols, you get 200 points extra. This always guarantees a sizable win! If you can get winning lines in 3 out of 4 frames, you win 1.5 times the points total of that turn. For winning lines in all 4 of the frames, you’ll even get your points total multiplied by 2! 24K is an exciting dice game that offers no less than three jackpots of different sizes! Full of features that will keep players of all levels entertained, 24K is a staple among dice games. Go for gold with 24K! With three 24k symbols in a horizontal or diagonal winning line, you open the bonus wheel round. This is where the three fixed jackpots are hiding: a grand jackpot, a middle jackpot, and a minipot. There’s also 100 to 1000 extra points and mystery games to win. Just click spin and see what happens! If the bonus wheel lands on Mystery, you receive two to five mystery games. All scores of 100 or higher pay out 100 times the stake during this lucrative mode. You can also get them outside of the bonus game when you are playing with a stake of €10 or higher. At these stakes you get a free mystery game whenever you get 1000 points! Besides the normal flow of play where you click the dice columns yourself, you can also change 24k into a fast-paced dice slot with the click of a button! Activate instant mode through the menu, and instead of column after column, the four slots will be immediately filled in. In the colourful dice slot game 1 Can 2 Can, a couple of friendly toucans will at random transform dice into wilds or even scatters, so you’ll never know where or how much you’ll win! The friendly toucans have the power to transform regular symbols into special symbols! This way they’ll add wilds or scatters where you’ll need them the most. In free games, they’ll add even more special symbols to increase your winnings! These special symbols can substitute for any regular symbol: this way they’ll start, connect, or extend winning lines to assure you a cash win. They’re also very valuable to get on a winning line of their own, paying out up to 1000 times your bet size! These special symbols pay out when there’s at least three of them anywhere on the reel, even if they don’t appear on a winning line. More importantly: three or more of these will start 10 free games, where the toucans become exceptionally generous with their gifts! 1 Can 2 Can has a gamble feature where you can multiply your winning by up to 1024, just by correctly guessing the colour or suit of a playing card! Watch out, though: guess wrong, and you lose all the winnings from the round before! In Judge Dredd, our dice slot based on the popular comic franchise, you can join the titular hero on his patrol on the mean streets of Mega City One, looking to dispense his own brand of justice. It’s not all just for the fans, though: everyone will get a taste for the generous wilds that can be added through Superbet! Judge Dredd stayed remarkably true to its iconic source material: this dice slot looks and feels just like the comic, with authentic imagery galore. The soundtrack further enhances this unique gaming experience! While wilds frequently enable big wins, there are also scatters which give access to free games! 3 or more scatters gives you 10 free games in which all wins are doubled. You’ll even get extra additional wilds during these free games! Wilds will appear naturally on any reel, but you can use the Superbet option to add additional wilds to the reels. Superbet will be on by default on one reel for no extra cost. Just click the Superbet button to get more wilds on more or even all reels! Judge Dredd has an unpredictable but generous random bonus. From time to time Judge Dredd Himself will walk into frame and fire a cash bonus at you! In dice slot Cleopatra’s Coins, you can raid the Egyptian queen’s treasure hold! Try for yourself and see how much of her riches you can win! Cleopatra’s Coins has three ways to set a stake size, which allows for thorough stake configuration for all sorts of players. You can set a base stake, you can choose the number of times you will wager this stake per winline, and you can set the number of winlines. Stakes range from €0.01 to €75 this way! Cleopatra’s Coins has many lucrative symbols. There’s wilds in the form of the scarab: these can substitute for any other symbol to create more and longer winning lines. Then there’s scatters, present as the cobra, which give free spins regardless of where they appear, winline or not! Any number of cobras of 3 or higher brings you free spins. There’s a whopping 100 free spins to be had if you get 5 cobras. During these free games, all winnings you make will be automatically multiplied by 3! The bonus round that Cleopatra’s Coins offers, is special: the number of prizes you can pick corresponds with the number of coins symbols you had while playing. Just smash the urns to receive their prizes! Witness the full destructive power of nature in Volcano Eruption! The volcano’s about to erupt… And when it happens, you’ll be in for a big win with this powerful dice slot game! Volcano Eruption has all the well-known features that make any classic dice slot game. You’ll be offered excitement across 5 reels of 3 dice, with a total of 25 lines to make winning combinations on. Bets can be placed from €0.01 per winning line, all the way up to €50: this game is truly for every type of player! Volcano Eruption has one defining trait: its wilds are its scatters! That’s right, there may only be one bonus symbol, but it serves as both special symbols at the same time. Be on the lookout for the volcano symbol to appear anywhere, as even 2 of these already pay even if they don’t happen on a winning line! The bonus feature of Volcano Eruption reveals itself every time you get 3 or more wild scatters anywhere on the reels. When this happens, you’ll find that all dice on the middle reel will become one giant volcano that is held for 5 spins, during which the volcano will throw hot wilds across all reels! Mr. Fox invites you for a trip on his yacht, sailing the seas in search of treasures! Who could say no to such an offer? This dice slot offers plenty along the way: you have plenty of wilds, scatters, and the Superbet option at your disposal to improve those winnings! With 5 reels of 4 dice and 50 winning lines, Foxin’ Wins has all the variety that a player can look for in a dice slot game. Novices can start playing at wagers as low as €0.50, while the more experienced may try their hand at mastering the Superbet option. This option may increase your overall bet size, but you’ll get so much more out of it: additional wild symbols! For an additional small wager, you can enlist the help of the mischievous fox pups: this way they’ll appear at random on 3 or all 5 reels to change random symbols to wilds! As these wild symbols are the missing link in winning lines, this option has all the potential to boost your winnings even further! Scattered symbols not only give you a nice payout every time there’s at least 3 of them, they are also the key to free games! There’s 10 games to be had this way, and during these, prizes are doubled! Tornado Dice looks like a simple enough dice slot game on the surface: it’s just 9 dice! Looks deceive however, there’s more to it than you might think… In fact, there’s a true tornado of money to be won! The gameplay of Tornado Dice is very easy to work with: just set a stake and spin the reels! What’s novel here, besides the fact that there’s just 3 reel of 3 symbols, is that some symbols already pay out from 2 identical ones on a winning horizontal or diagonal line! On top of that, all winning combinations can come from the left and from the right! Every time you manage to get a winning combination of Golden Palace clovers, you unlock the bonus game that Tornado Dice has to offer. Here, you’ll get 3 free spins at the bonus wheel. Apart from cash prizes, there are also extra spins to be won and multipliers that will double your winnings. With some luck you will be spinning until you win your stake back hundreds of times or even the maximum of 1000 times! This game is a big hit in our gaming halls, find out why today! Who’d you pick in a dating show? And what if you can choose cash instead of one of the contestants? Dice slot game Swinging Sweethearts parodies this choice. But it’s not all laughs: you can win for real, up to €24,997 in one lucky spin! Thanks to the coin system, you can set a multiplication factor for your base stake size. By default this is set at 1, but if you’re feeling adventurous, you can always increase the coins, which essentially multiplies your stake, which in turn means bigger payouts when you win! You can also change the number of winning lines from 1 to 50. Wilds don’t only substitute for all other symbols, they also multiply any win! During normal gameplay, you will win 4 times the prize of the combination you scored if this winning line includes a wild. This is doubled to 8 during the “free spins” feature, and even tripled to 12 during the “swinging free spins” feature! Swinging Sweethearts has scatters, of course: these will give you free games no matter where you end up having them on the reels. Any number of 3 or more gives you 15 free spins! That’s not all: get another 3 or more scatters during free play, and you’ll enter the “swinging free spins” feature, where you’ll play another 5 free games! Royal Wheels brings to life the Golden Age of bicycle racing in an exciting strategic dice game! Get on your bike and come along for some good old-fashioned casino fun! With simple no-frills gameplay, Royal Wheels does what casino games are meant to do: entertain and make you some money! All you have to do is arrange the dice columns in the 4 cases. It will be worth your while to consider a strategy: you can go for small rewards with lower scoring dice combinations, race for high prizes that are harder to get, or go exclusively for the lucrative bonus wheel. You decide! One thing that makes Royal Wheels stand out from its strategic dice game peers, is its soundtrack. The unique soundtrack to Royal Wheels was created by none other than Kevin MacLeod. His name doesn’t ring a bell? It should, as you must’ve heard his music in countless movies, television series, video games and commercials. Worth a listen! Royal Wheels has more than its fair share of extra points to help you reach the big win that’ll make your day! You will definitely need to go for winning combinations in all 4 cases: this will double your points bonus for a guaranteed payout! Even just 3 cases with winning combinations gives you 1.5 times your points total. Fill 1 case with all the same symbols and you’ll get 200 points extra! Greek mythology inspired dice slot game Medusa is not for the faint of heart! You will meet the titular monster of myth, along with plenty of wilds, scatters, re-spins and enough bonuses to make a small fortune! Every time you get 3 Medusa wilds at any point during regular gameplay, one of the middle reels will expand and turn entirely into wilds! Then, the other reels will re-spin, and any win during these re-spins will be multiplied by 3! In this bonus round, you play 10 free games during which prizes are doubled. This mode is triggered whenever 3 or more scattered symbols appear. Super soldier symbols unique to this round will even multiply wins by 5! Medusa is unique in that it offers 2 types of scatters! Besides the scatters that open the free games, there is a Pegasus symbol that’s also a scatter. This symbol opens yet another bonus round, where you can win up to 50 times your total stake! Any win you make can be used to gamble for even higher wins! Enter the gamble round and predict the next playing card to turn. If you’re right, you can win up to 4 times your winnings! But beware that guessing wrong will cause you to lose your winnings for that round. Cool down with On The Rocks, our most refreshing strategic dice game! On The Rocks offers chilling choices as you decide your own way to win. As a strategic dice game, On The Rocks gives you full control to use a strategy in order to make the most of your turns. With 10 different symbols of 5 different values, it’s all up to you to go for the symbols of your choice. Lower scoring symbols may be easier to assemble into a winning combination, but symbols with higher points will bring about higher winnings… How will you play? Every time you manage to get a winning combination of 3 red Chinese symbols, you will automatically go to the bonus round. Here you will get an exciting choice: pick your own bonus from one of the 4 cases for a random number of points. The prizes here start at 100 points, which guarantees a prize, and go up to 1000 points, which will pay out your stake 100 times! On The Rocks is refreshingly generous with extra points! Extra points are given out for winning lines in 3 or 4 cases: 1.5 times or 2 times your points total respectively. That’s not everything yet, you will also want to try to fill a whole case with identical dice (which means 5 winning lines: three horizontally and 2 diagonally). This extraordinary combination will give you 200 extra points on top of the winning lines! Mystery Reels is a high quality dice slot game, with interesting gameplay that makes it more than worth your while. The bonus round especially should be something to look forward to: here you can win mystery games! Mystery Reels has all the wilds and scatters you’ll need for those big wins – and more. Wilds will substitute for any other regular symbol, and scatters pay out no matter where they appear on the reel. They don’t have to occur along a winning line or even consecutively! In the bonus game, your objective is to turn the chips over one by one, until you hit three chips of the same value. The value that you have uncovered three times is your prize. There’s seven money prizes to win here that will multiply your winnings significantly, and a mystery prize too! In a rather unique twist for a dice slot, Mystery Reels offers a feature that has become a staple of many popular strategic dice games: mystery games! Leaving the bonus round with a nice big cash win is already a significant reward, but your chance for mystery games will no doubt make it even better. During mystery games, you can win 100 times your stake for any winning line! Gary the gorilla welcomes you to exotic dice slot game Gorilla Go Wild! Here, you can win no less than 4 bonus games, and Gary himself will help a hand if needed. The game also keeps track of your sessions: bonuses you’ve unlocked before will remain even after quitting and returning! Thanks to a wide range of top shelf animations and the beautiful colour palette used, Gorilla Go Wild creates a very fun and lively gaming experience. Keep your eyes peeled for Gary’s wild antics, he might just give you Bonus Time! Dice slot game Gorilla Go Wild has all the staples that make the genre so popular! Get wilds on your reels to help you get longer combinations along winning lines for bigger prizes and at least 3 scatters to give a nice payout even if they don’t occur along the winning lines! Fun as it may be, no one can play forever. Gary knows this, and brings a solution to the game! Gorilla Go Wild will remember the acquired bonus level at the point you left the game, and charges it at this point when you return. This way, you won’t miss potential of big wins from your previous sessions! Take a safari on Africa’s wide savannah, where the mighty lions roam! Hear them roar… It’s the sound of winning! Be sure to watch the intro clip: you’ll be impressed by the visual quality. The whole game has that feeling of highly realistic visuals and fluid animations. From the win animations to the expanding wilds animation: you’ll truly imagine yourself on a safari – one where you win huge cash amounts! Witness the lions in the wild! Lion’s Roar has plenty of wilds to offer. What other symbol could represent the wild than the wild lion itself? These symbols are as powerful as their spirit animal: they’ll make your wins bigger by substituting for any missing symbol (except scatters). That means longer winning lines! Scatters help you get bonus games! Besides wilds, scatters are another crucial symbol when you’re going for the biggest wins. Just get three scattered symbols anywhere on the reel and you win up to 50 free rounds, guaranteed! During these free spins at your chosen stake, you will get double any win you make thanks to a multiplication bonus. You can even win on a whole new level whenever you get another set of scatters! Join famous wizard Merlin in his quest for glory and fortune in this magical dice slot. Let Merlin show you his magic powers to manifest the greatest bonuses out of thin air! Superbet can boost your possible wins to wonderful heights. When you have Superbet activated, all wild symbols will become multipliers of two, four, six, eight, or ten times your winnings when they happen on a winning line! With three orb symbols, you’ll receive five free games at your chosen stake. During these, Merlin will randomly transform symbols into wilds. Naturally, this will greatly increase your chances for huge wins! These symbols are scatters, so they don’t even have to occur on a winning line! If you have at least three scattered owl symbols, you trigger the owl bonus game. In this bonus feature, you can keep on picking prizes, up to twenty cash prizes! In the gamble feature, you can choose to try and increase any win you made. By guessing the right colour or suit of a playing card, you can double or even quadruple your winnings – up to 5 times in a row for 1024 times your winnings! The Spin Lab is a dice slot game where you create your own bonus game. From doubling all bonus payouts, to extra jokers or even enabling payouts from both left to right and right to left, it’s all possible in The Spin Lab! Wild symbols increase your winnings, as they replace any other symbol (except for scatter symbols) to start, connect, or extend winning lines of identical symbols. Scatter symbols pay out no matter where at least two of them appear. For the bonus round that is unlocked through three scatters, one of the special symbols is randomly chosen as the bonus symbol. You can now make your own bonus by combining three options in three categories. This way, you have a total of 27 possible combinations to try out! Statistics are kept for each combination you try out to help you increase your winnings even further in future bonus games. The Spin Lab has a gamble feature that you can enter through the button with a heart and a club on it on the bottom right of the screen. In this feature, you can wager your winnings by guessing the colour or suit of a card to double or quadruple your winnings, up to five times in total. Mayan Dice promises a very rewarding casino gaming experience: play as a fast paced dice slot on autoplay, or play manually for a more relaxed time. You can win big either way, with scatters and bonus games! Scatters win regardless of winning lines! Scatters are the symbols you’ll go for if you want easy wins: these symbols, present here as the colourful dice with “scatter” on it, will pay out a nice sum, no matter where they are on the reels. They don’t have to occur along winning lines or even on consecutive reels! Even more important than scatters are the bonus symbols. Get at least 3 of them along a winning line and you’ll unlock the Mayan Chief Hi-Lo bonus game. In this hi-lo game, you stake your winnings on whether the amount of hidden gems will be higher or lower than the ones you see. You can win up to 6400 times your wager with this bonus game! Laser Lockup is a hi-tech strategic dice game with no less than three different bonus games! Apart from the traditional bonus game triggered by making a line of three symbols, there are also two strategic bonus games which trigger randomly. Laser Lockup has two strategic bonus games you trigger just by playing. The bonus game gauge has a chance to fill whenever you score points in any game field. In these bonus games the goal is to guide the laser to its target by making strategic use of the mirrors. The goal in the first bonus game is simply to choose a target and guide the laser to it. In the second bonus game you not only get multiple shots at the prizes, but there is also an extra strategic element as your prizes will be multiplied by the amount of mirrors you use to guide the laser before it hits its target! Laser Lockup’s third bonus game is triggered by creating a horizontal or diagonal line of 3 bonus symbols. In this bonus game you will either earn a healthy amount of bonus points, Mystery Games which reward you 100 times your bet for any winning score or even a jackpot up to €10,000! Golden Gorilla is a dice slot that takes you deep in to the jungle looking for riches. Get ready for a true adventure, with expanding and multiplying wilds and free spins in no less than three bonus rounds! Gorilla symbols are wild: they can represent any other symbol to make a winning line. Golden gorilla statuettes are scatters: these pay out no matter what as soon as three appear, winline or not! Every time you get three or more scatters, you trigger the free spin round. Here you’re given free spins in which wilds are 2x multipliers. Three scatters is 15 free spins, four scatters is 25 free spins, and five scatters is 50 free spins! The super round starts whenever you get at least three scatters in the free spin round. The same benefits as in the free spin round (same number of free spins) apply here, but this time, wilds are further enhanced to 3x multipliers! In this round, reached by three or more bonus symbols in the super round, you’re offered to take a pick from a number of golden statues. They each hold a different prize, so think twice before you pick! Write football history with The Great Old Dice, a strategic dice game specifically designed for goldenpalace.be as sponsor of Royal Antwerp Football Club, the oldest football team in Belgium! Royal Antwerp Football Club (or RAFC for short) is nicknamed “The Great Old” because it is the oldest professional football team in Belgium, with matriculation number 1. The Great Old Dice gives you a chance to make a huge win in its honour! Go for the highest possible points value to win up to 100 times your stake! The Great Old Dice has a bonus game that can be achieved through careful strategy. Just line up 3 red Chinese symbols horizontally or diagonally on a winning line to access the bonus feature. In this feature, you will get a chance to choose a prize from 1 of the 4 cases. There’s up to 1000 points or 6 mystery games to win, but choose wisely: you can only pick one prize! There are many ways to make some extra points for even bigger wins in The Great Old Dice. Just 3 cases with winning lines will already multiply your points value by 1.5, and winning lines in all 4 cases even doubles it! Additionally, you’ll want to try and go for a case filled entirely with the same symbol: this means 200 points on top of the points you get for the winning lines! Come explore the Kingdom of Gold! This fast-paced dice slot game promises quick cash with payout starting at 2 dice on a winning line and a bonus feature that gets better the more you wager! Kingdom of Gold spends little time building a story around itself, but rather puts you right in the heart of the action: just spin and win! Its fast-paced action has stakes ranging from just €0.10 all the way up to €2.50 per spin, so there’s ample choice for all players to find the gold that the game promises in its name! Scattered symbols that will give a nice payout of at least twice your stake for any occurrence of 3 or more are far from rare in Kingdom of Gold! These yellow dice with the blue symbols are therefore a welcome sight in any spin you play. The more of these you have, the bigger your win, of course! The Kingdom of Gold holds its brightest treasure in the bonus feature. This bonus feature is tied to your stake, and is available for any stake of €0.25 and higher. The more you wager, the bigger your chances will be of unlocking this bonus feature, where even more lucrative offers await! Super Wheels Progressive is a strategic dice game that gives back! If you can’t win 30 turns in a row, the unique cashback system will guarantee you a cash win! The Cashback Wheels automatically spins after 30 turns without winning, and then always gives points from 100 to 300, or even mystery games: this guarantees a cash win! If you get 3 identical Golden Palace symbols on a winline, you unlock the bonus wheel. This is where you’ll find the jackpot, mystery games, cash prizes, and points prizes. You can spin up to 5 times! Mystery games are won at the bonus wheel or at the cashback wheel. These play automatically at the stake you unlocked them in, and pay out the maximum of 1000 points for any score of 100 or more! The hefty jackpot of more than 1000 times your stake is won at the bonus wheel. Just spin the wheel, wait to see it stop on Jackpot, and you’re rich! Besides 1.5 times your points total for winlines in 3 slots, and 2 times your points total winlines in 4 slots, you get 200 extra points for filling a slot with 9 identical symbols! Dice slot game Randomanic lives up to its name: your winnings can come from every direction at random… Left to right, up or down, and even right to left! Additionally, you can choose the number of reels on which the plentiful wilds appear! Randomanic offers a lot in a small package! There may just be 4 reels of 3 dice each, but the 8 symbols of varying value will occur enough along the 10 winning lines to give you solid wins time and time again. Randomanic is unique in that it lets you make winning combinations not only from left to right, but also from right to left. Any 3 or 4 identical symbols on the reels, whether they appear horizontal or diagonal, will always reward you with a nice win of at least your stake. There’s up to 80 times your stake to win here! Another unique feature for a dice slot is that you get to choose on which reels the wilds will appear. The location of the wilds are linked to the credits you play: this way, you can make the bar symbols wilds on 1, 2, 3 or even all 4 reels! Mystic Wolf will have you howling at the moon with joy! This dice slot game just breathes a mystical atmosphere, with crisp graphic of high quality. There are multiple bonus rounds, multiplying wilds, and even a random jackpot feature to win here! In Mystic Wolf, wilds are called running wolf wilds. Just like regular wilds, they can be used as substitutes to all other non-bonus symbols. What’s so special about them, then? How about this: they will always multiply any win that includes them by at least 5! In the super round, this is even increased to 10! Mystic Wolf is a very generous dice slot game: at random moments, it will give you a random extra! This can happen with every win, but it is more likely to happen during the Mystic Wolf super round. Needless to say, this makes the super round all the more desirable! Get at least 3 scatters and you can receive up to 50 free automated spins in the Mystic Wolf super round! This is where you can make that big score: running wolf wilds will now have a multiplication factor of 10! You can even unlock the next step here: the Lunar Phase bonus round! American Dice is a strategic dice game with fast and uncomplicated gameplay: just click and win, nothing difficult about it! You can maximise your wins here through the jackpot that can pay out any stake up to a 1000 times! You’ll want to try and get three Golden Palace symbols on a winning line: these will trigger the bonus game for you! When you get the bonus game, you’ll be given a choice between five golden mystery dice. These will contain your prize: a points bonus of minimum 100 and maximum 1000, a number of free games, or… The jackpot! The jackpot in American Dice is hidden inside the bonus game. Here, one of the golden mystery dice contains the jackpot. That’s a huge chance of getting the stake-tied jackpot of up to 1000 times the stake you play at! American Dice awards extra points: 2 times your points total when you have winning lines in all three slots, 1.5 times your points total for winning lines in two slot, and an extra 200 points for whenever you get nine identical symbols in one slot! In the strategic dice game Golden Temple, you’re invited to unveil the ancient mysteries and discover the treasures that are hidden. Just get the right dice columns in the right slots and the prizes will be yours! Golden Temple offers all the staples of the popular strategic dice genre. Just aim to make winning lines as you sort the different dice columns into the available slots! With stakes between €0.25 and €5, it’s a welcome challenge to all sorts of players. There’s up to €500 to be won! Golden Temple has a bonus game you’ll definitely want to unlock! Just line up 3 red Chinese symbol dice and you’ll be taken to the bonus feature. Here, the prizes you can win include points bonuses that will guarantee a win, or mystery games where every win pays out the max cash prize for your stake! It’s not just the bonus feature that leads straight to winnings! Go for the multipliers: you’ll get 1.5 times your points total if you can get winning lines in 3 slots, and even double your points total for winning lines in all 4 slots. There’s an additional 200 points to be had if you fill a slot with 9 identical symbols! Leonardo’s Loot invites the player to the workplace of legendary Renaissance man Leonardo da Vinci! This ingenious dice slot offers a free spins round within a free spins round, with win multipliers up to 10! Wilds will always substitute for any other symbol (except scatters). This way, they’re key to large winnings, as they’ll make winlines where you wouldn’t have them otherwise! It gets even better, as any win that includes one of these wild symbols, is automatically multiplied by 2! Scatters are symbols that don’t have to occur on a winline to give a reward. In Leonardo’s Loot, they give at least 10 free games as a prize! The more scattered symbol you manage to get, the bigger your free games prize will be. You can have up to 30 free games this way! Last but not least: all wins in free games are multiplied by 3! Renaissance round multiplies wins by 10! Leonardo’s Loot has a free games bonus round within its free games bonus round: if you get at least 3 scatters during free games, you win a special free games round. There’s up to 10 Renaissance round free games to win. During these special free games, all wins you make will be multiplied by 10! Welcome to Chip Dice! This smooth strategic dice game brings you all the excitement with none of the fuss. Play straight to the win! As a strategic dice game, Chip Dice is a great game to fine-tune your strategic prowess. Arrange the dice columns you’re given any way you like! You can go for quick and easy smaller prizes, or you can focus on the bigger, more rewarding symbols. And why not aim even higher by only trying to go for bonus symbols? It’s all up to you! When you get three bonus symbols in a winning diagonal or horizontal line, you win a trip to the bonus wheel. Here you can score between 100 and 1000 points – enough to guarantee a cash prize! That’s not all: you can also win some much-coveted mystery games, where you’ll get the maximum of 100 your bet size for any points score of at least 100! To help you increase your points total to make the most of your winnings, Chip Dice gives out no less than three multipliers! You’ll get an extra 1.5 times your points for winning combinations in 3 boxes, and winning lines in all 4 boxes doubles your points. Get 9 identical symbols in 1 box for an extra 200 points!